If you’re heading to Europe in the next few days, be aware that massive strikes in dozens of countries are causing turmoil for travelers. 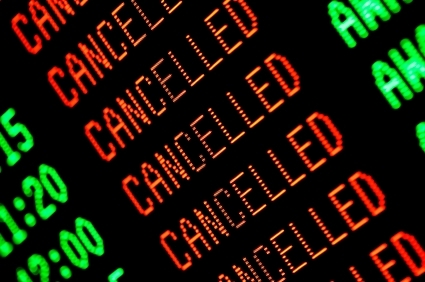 Hundreds of flights have been canceled. Many train schedules have been affected. And some cruise lines are even changing itineraries to avoid calling in European ports. The strikes, which have been called by the European Trade Union Confederation (ETUC), are against the austerity budgets that most European countries are taking to ward off another financial collapse. Although these grand strike plans often fizzle, the most likely disruptions will be in Greece, Italy, Portugal, and Spain, with some sympathy reactions spreading as far as Austria, Belgium, Czech Republic, France, Germany, Luxembourg, Netherlands, Poland, Romania, Scandinavia, Slovenia, and Switzerland.